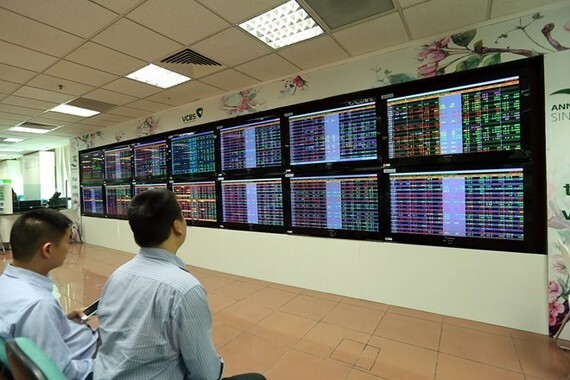 The benchmark VN-Index of the Ho Chi Minh Stock Exchange (HOSE) recovered on May 23 with a rise of 3.03 points to close at 988.94 points. The VN-Index fluctuated around 975 points in the morning thanks to a huge supply in the market from the beginning. 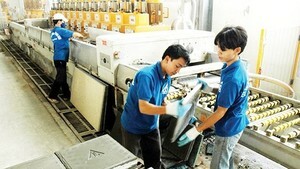 In the afternoon, demand climbed and some groups of shares were bought by investors at sharply increased prices. Specifically, the group of rubber shares saw their price hike of 6.41 percent, the group of utilities shares 5.9 percent, and the securities, insurance, banking, construction material and retail groups 2-3 percent. Among the major shares, GAS increased to the ceiling and closed at 113,300 VND per share while VNM, VCB, CTG and BID posted prices higher than the reference ones. On the northern bourse, the HNX-Index rose 1.39 points to 118.11 points while the UpCOM-Index was up 0.34 points to 54.7 points. Total transaction value in the whole market approximated 7.27 trillion VND (320.5 million USD).